Father, Jeff Sandberg, and his family have suffered a terrible loss. He has decided to turn his tragedy into an effort to change the laws in Minnesota. He has started these efforts even before his son’s burial. The law that he wants to change has to do with psych evals. This is somewhat interesting since they had a psych eval ordered at the beginning of their custody dispute on March 27, 2015. During their custody dispute, the trial court found father guilty of domestic abuse and then determined that father overcame the presumption that joint custody was not in the best interest of the child, and awarded father a step-up parenting plan to eventually reach a 5-2-2-5 equal parenting plan. The dispute between these two parents wasn’t particularly longer than most custody disputes. Father and his attorney describe the mother as a continued “disrupting force” after the custody determination. There are other parents who have experienced this same tragic loss of a child and have written books in attempts to find ways to identify these problems and solve them in ways that better protect the children. One of them is Rod McCall, author of “For the Love of Eryk.” One of the key elements to watch for is alienating behaviors. You can learn more about parental alienation from Rod’s book and by going to PAAO-USA and by purchasing books on parental alienation. According to Channel 5 ABC news, “Orono Police Chief Correy Farniok said his department was notified of a requested welfare check at the residence at 4:10 p.m. Monday because the child had not returned to his father for parenting. An officer who went to the residence noted it was locked and that nobody answered the door. The responding officer told the father they could do another welfare check later in the evening with more information, but at the time there appeared to be no danger to welfare or safety, Farniok said. At 8 p.m., officers were called back to the home where they were met by a family member who provided keys and asked them to check inside. Officers found both the woman and boy hanged. Farniok said at the press conference they were found in the home’s basement. 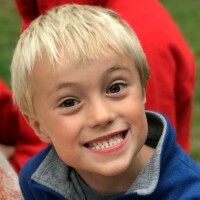 NextWas Joint Custody Appropriate for Little Boy Jude Sandberg Killed by Mother in Orono?